Hi all! 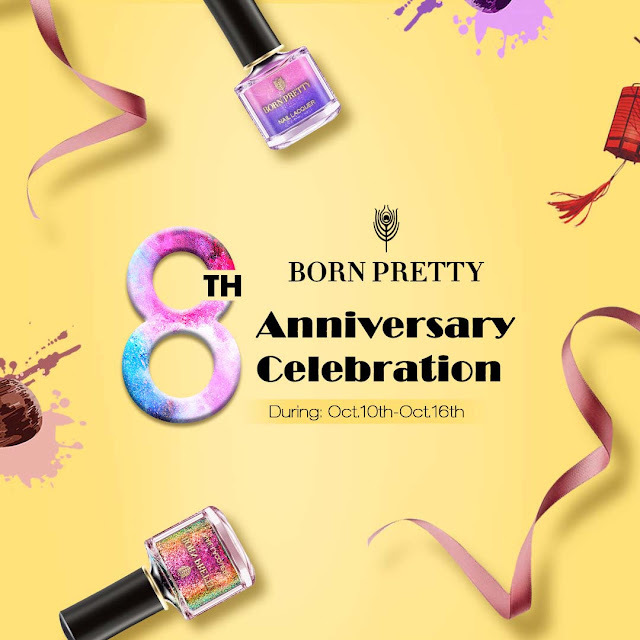 I'm back with the second nail art look for the Born Pretty Store 8th Anniversary Celebration sale. 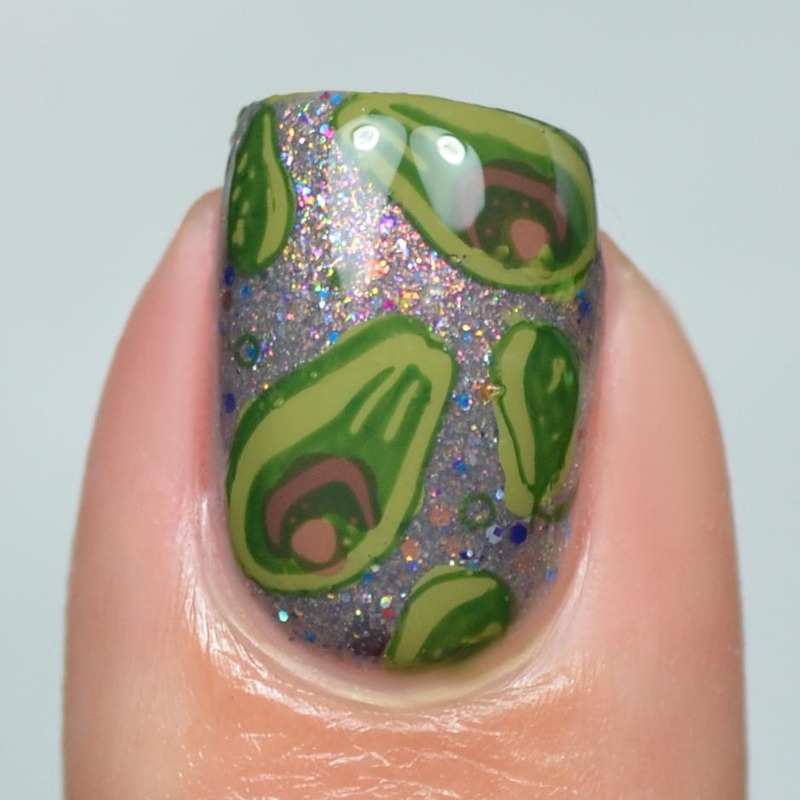 Today's look is avocado themed because you know how us "millennials" (I prefer gen y), love our avocados. For this look I started with a base of Polish 'M Burlap Beauty. I'll have formal swatches of this in a few weeks. While my base color was drying I prepped my stamper heads by stamping the outline of the avocado using Zoya Hunter. Once the outline dried I filled in the rest of the stamp with each respective color. I used Arbor for the fruit, and Chantelle and Gina for the stone section. You can use "CBLW10" in the comments section for a free gift with any order placed between October 10th and October 16th. If you enjoyed this post you might like Digit-al Dozen All That Glitters | Under the Sea Jellyfish Nail Art and Cute Skulls feat. 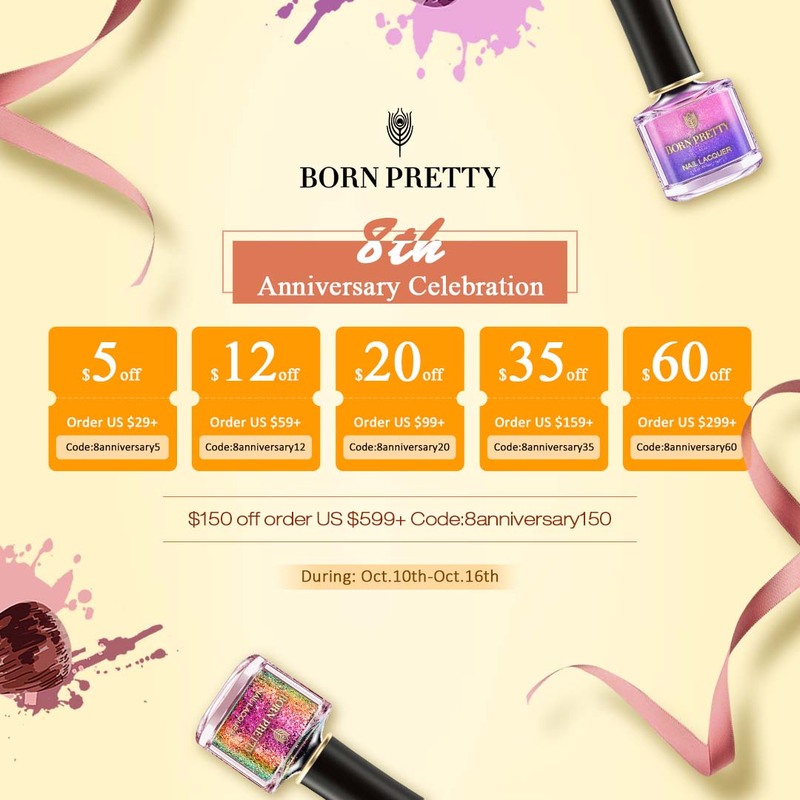 Born Pretty Store | 31dc2018 Challenge.